We have been playing around and testing the Baikal Mini Miner for a few days now and we are ready to share our first impressions from the device. First off it really works and works well with all of the six supported algorithms – X11, X13, X14, X15, Quark and Qubit. 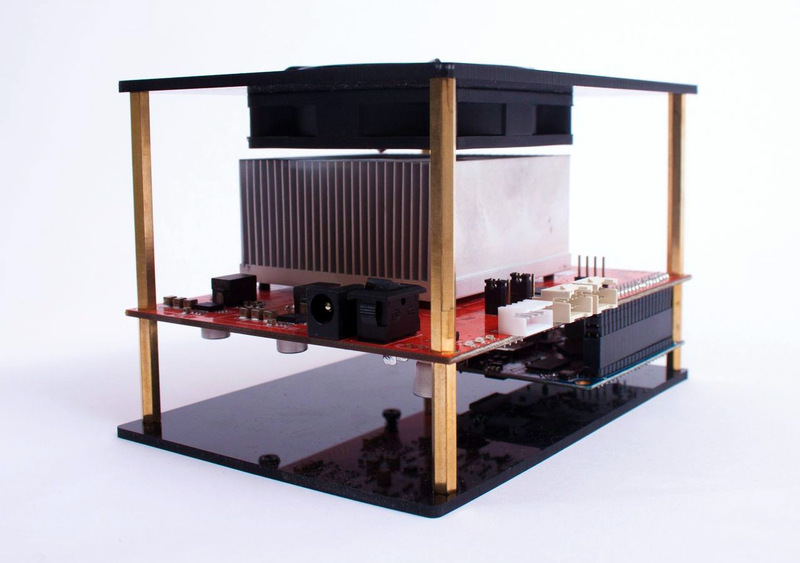 This is the first and only ASIC manufacturer (to our knowledge) to offer a dedicated ASIC miner supporting multiple algorithms (though they are not that different from each other). The device is able to deliver the promised hashrate of about 150 MHS in the different supported algorithms and does it with a low power usage also as promised in the specs. 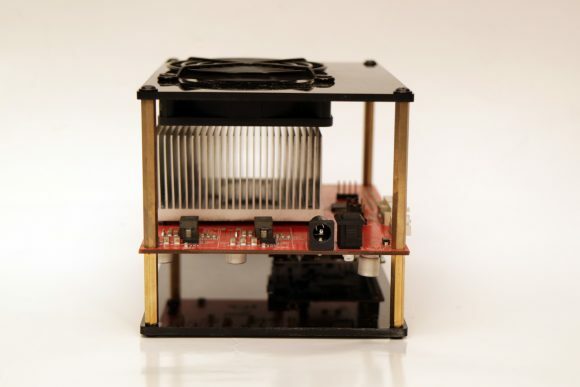 Furthermore thanks to the low power consumption is it really compact and nowhere near as noisy as we are used to get from ASIC miners lately, so the Baikal Mini Miner is actually great for a home crypto currency miner. We are going to be talking more about exact numbers as well as technical details in a future post about the Baikal Mini Miner. 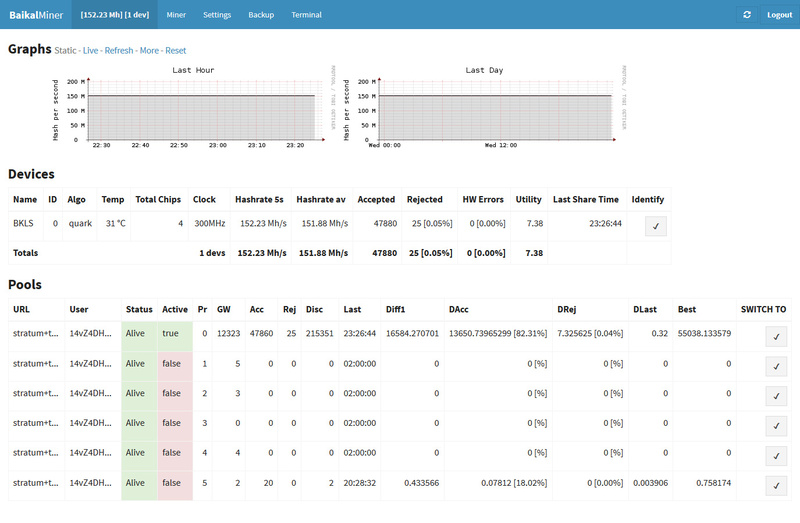 This post covers our initial impressions from the device after a few days of normal mining usage to confirm it is working stable and reliable and it does indeed do that. The build quality and the overall design is probably not the best out there, but it works well and apparently allows for easy stacking up of multiple devices as we’ve seen form the Baikal Quadruple Miner that essentially stacks for of these devices together. Everything about the device looks pretty impressive so far aside from the price, the device is being sold for about $500 USD or 56 DASH coins. So it seems a bit expensive, but it is not when you compare it to the competition in terms of X11 ASIC miners that are less power efficient for the hashrate they provide and end up costing you more for the same hashrate. Not to mention that they only support X11, while this one comes with support for 5 other algorithms, so it is more usable and offers support for significantly more crypto coins. 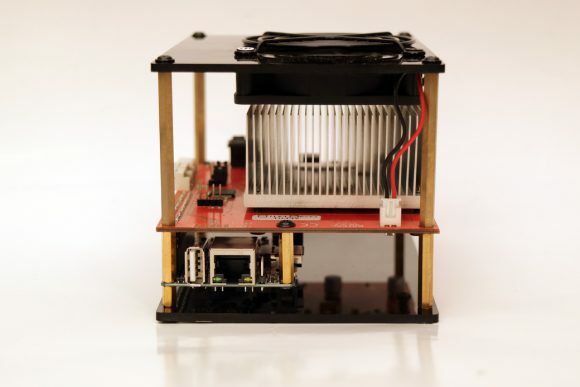 The Baikal Mini Miner comes with its own mini computer unit similar to a Raspberry Pi that essentially controls the device, so there is no need to actually connect it to a computer for it to work. All you have to do is connect it to your Ethernet LAN network and then open up the web interface for control and monitoring of the device through a browser, the device uses DHCP to get an IP address on your network. 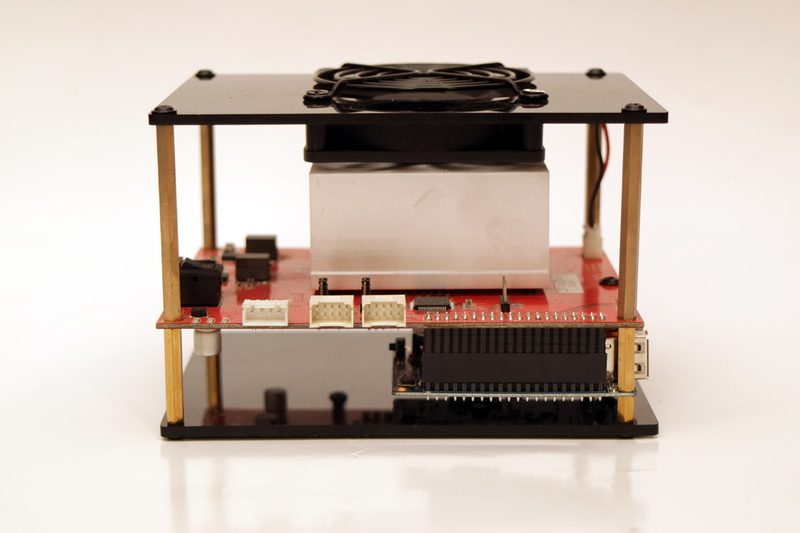 The web interface is a modified version of Scripta mining distribution for Raspberry Pi. The default password for the web-interface is baikal and the username and password for the console login are also the same baikal and baikal respectively. You should be able to change them for security reasons of course, though be careful when you change them to note the new passwords for access. The Scripta mining distribution works stable and really well with the Baikal Miner, it is easy to configure and monitor the device with it. There is a temperature sensor available and it is being reported by the software, though you probably will not be interested much in it as the temperature of the miner is really low. The switching between the 6 supported mining algorithms is as easy as clicking a button after you configure mining pools for each of them of course. The software supports priority based failsafe switching between pools/algorithms. What it could really use however is some sort of automation for profitability based switching between the supported mining algorithms. Talking about profitability we cannot forget to do some calculation on the actual profitability of using the device as this is the factor that can be decisive in you choosing to get it or not. 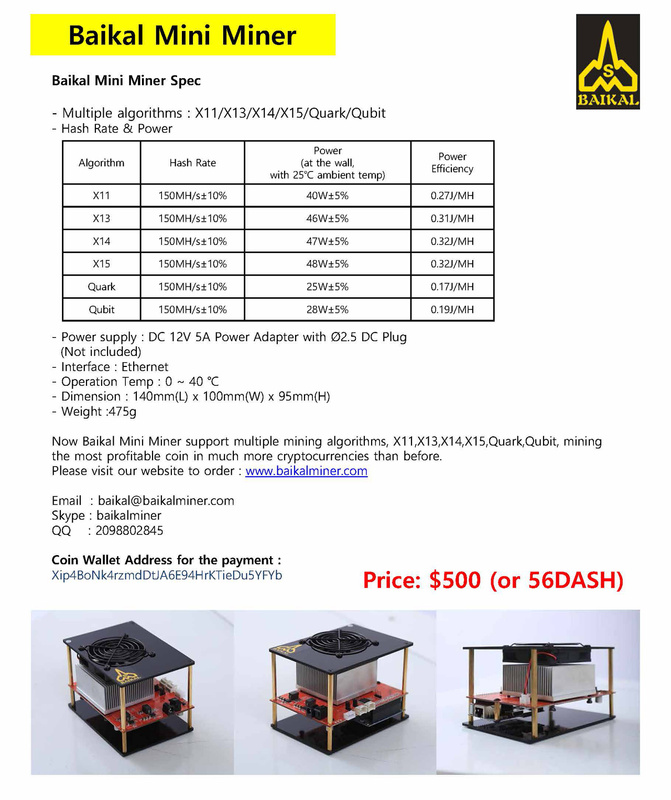 The Baikal Mini Miner does come with support for 6 mining algorithms, though not of them are really that popular and widely used. For example X11 is quite widespread, but there are already a lot of X11 ASIC miners on the market, yet it is still often the most profitable one to mine. Other such as X14 and X15 were never that popular, so unless there are some new coins coming out using them there are probably not that much worth mining (they use more power). Mining Quark and Qubit can also do you some good profit if you manage to catch something good. So for actual profit you will probably have to go looking for new coins or for trending ones and risk a bit more and mine them. Today we’ve received our Baikal Miner ASIC supporting X11, X13, X14, X15, Quark and Qubit algorithms and we can share some photos with you. Our first impressions from the device as well as results from testing and using it will be shared in the next couple of days when we get to play around with it and see how good it will work and if it manages to deliver what is being promised by the manufacturer. 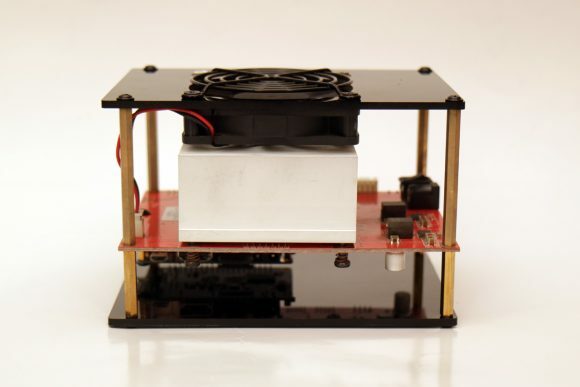 The miner is pretty compact in size and is a little less than 0.5 kilograms in terms of weight. It is well packaged, the build quality is good, though a bit strange in terms of design, and since there is not much weight there should be no trouble with the package, unless of course it gets seriously damaged during transportation. Our package has arrived in good condition and there seems to be no damage to the box that the miner was delivered into. 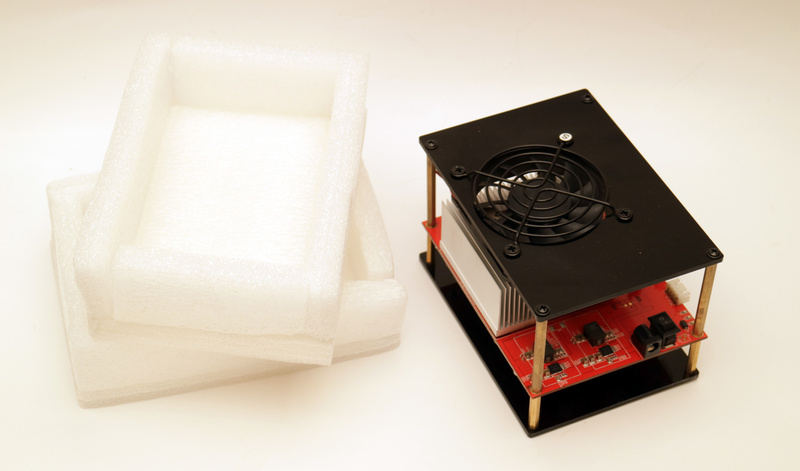 It is important to know that you will only get the miner itself, there is no manual, power supply or any cables along with it, so the rest you need to provide yourself. There is no need for software as you plug directly the device into your network and control it via web interface. But the power supply is important, you need an adapter capable of outputting 12V at 5A with a 2.5mm barrel size (2.1mm won’t work). You can either use a dedicated power 12V supply or go for an adapter from molex to this type of barrel connector and use a regular computer PSU. You can find an online manual and additional support here. That is it for now, stay tuned for more details very soon. Baikal Miner started with an interesting X11-based ASIC not too long ago and now the company has just announced two new miners that support multiple algorithms. 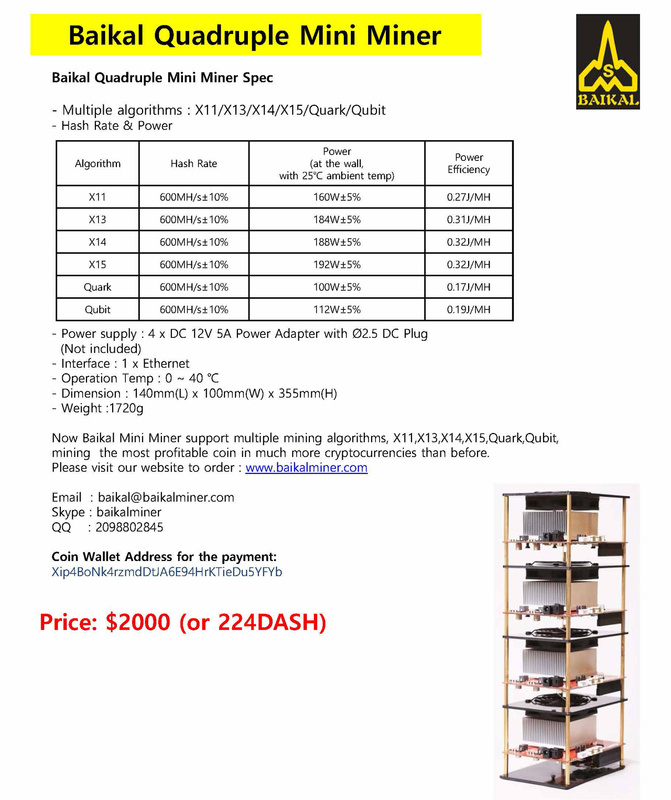 The new ASIC-based Baikal Mini Miner and Baikal Quadruple Miner offer support for X11, X13, X14, X15, Quark and Qubit algorithms with surprisingly good specifications. The Mini Miner is capable of providing users with 150 MHS hashrate in all of the 6 supported algorithms while the Quadruple Miner (essentially for of the smaller units) are capable of 4 times the hashing power or 600 MHS. Do note that the prices cited below are for the miners only, power supplies are not included and the shipping cost is not added. Do note that this information has been provided by Baikal Miner and we have not tested any of the products of the company to confirm if they can deliver on the promises made for multi algorithm support and/or for the hashrate and power usage claimed. The numbers however do seem quite interesting and if the information turns out to be true they are going to change the mining landscape for a few more crypto currencies using the other five algorithms supported besides X11. We were not able to test the first generation of X11-based ASIC miners from Baikal due to them being hard to find in Europe or available at speculative prices as compared to what the manufacturer in China apparently sells them for. 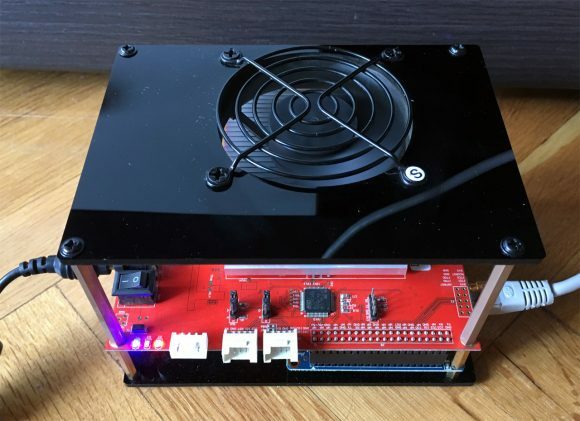 Unfortunately the purchase procedure directly from Baikal was not well made, so we gave up trying to get a X11 ASIC miner for testing from them.